we are done with our workout. Elite workout methods include functional bodyweight training, high intensity drills, plyometrics, stability, flexibility and core work all packed in one powerful program — offering you the most effective way to get lean in only 20 minutes a day. No equipment needed. The workout system is divided into two progressive phases consisting of five dynamic workouts each. You’ll challenge your body through a combination of low-intensity toning, calorie burning cardio, injury preventative stability work and fat blasting high intensity exercise. Every day is uniquely challenging. Your body will never plateau and your athletic abilities will continue to evolve. Each phase of EVOLUTION 20® will give you the maximum results in only 20-minutes a day. The workouts gradually increase overall strength and balance. Phase 1 of EVOLUTION 20® will build a strong core, shrink waistline, tone trouble zones and empower you to move with greater strength and body awareness. Phase 2 will chisel a lean athletic figure while improving your power, speed and coordination. Each workout includes modifications and advancements, allowing you to take the workout at your own pace and evolve to the next level. High intensity drills to increase the muscle force and attack fat. High-octane hybrid yoga to sculpt strong flexible muscles. 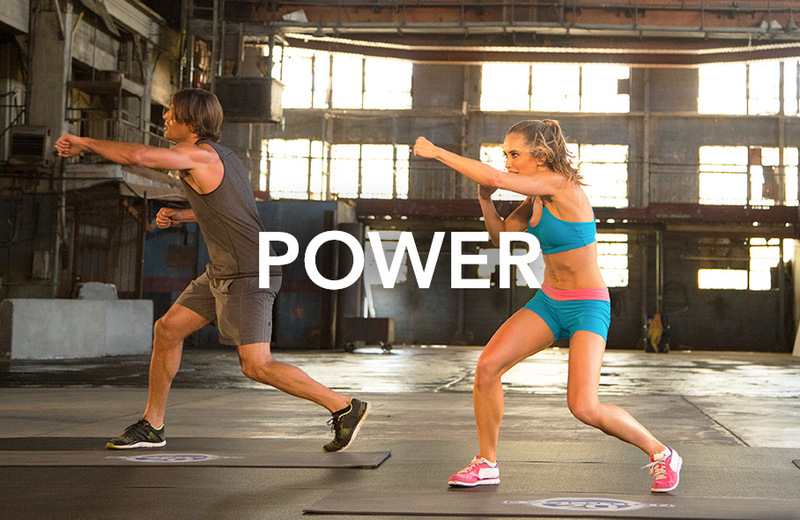 Superset strength training and plyometrics to increase stamina and sculpt a lean physique. Modern Pilates strength and mobility training for all-over toning. Non-stop cardio sports drills and boxing. HIIT it harder for a super-charged metabolism. 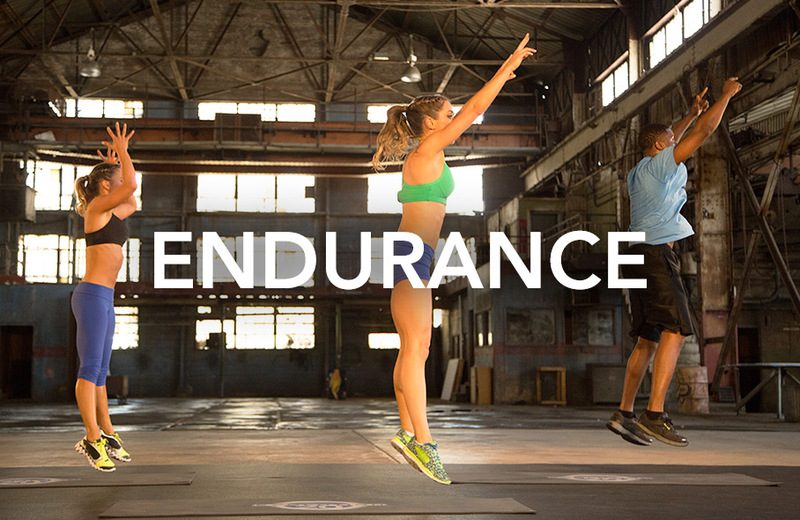 Build the stamina to perform to your full potential in this next phase. Target your trouble zones to create lean definition and a powerful core. Crank up the calorie burn with complex sports drills. Put the final touches on your shredded 6-pack! A rapid-fire abdominal workout that will help you to shrink and shred the waistline. Nutrition is an essential component of any physical evolution. In order to become the strongest athlete you can be, you need to consume the proper diet. The 60-day program is designed to boost your overall health and energy, fuel the workouts and help you build a lean, strong and toned body. The meal plan is delicious, healthy and simple. All meals are prepared in 20 minutes. EVOLUTION 20® increases the amount of tasty, nourishing, alkaline plant foods in your diet — while removing acidic toxic foods. There is no lack of satisfaction with this clean diet, which includes wholesome variations on pizza, pasta, burgers, chips, ice cream and chocolate! A 60-day guide to organizing your weekly workouts and achieve the ultimate results. 2 months of meals planned for you, all prepared under 20 minutes! The first week will help to revitalize your digestive system for increased performance and faster results! I am so happy you’ve chosen to make your health a priority. Like many of you, I found the demands of work, life, and family were taking a toll on my personal workouts and my overall well-being. Today, we are forced to do more with less, and many times that comes at the expense of our own health. EVOLUTION 20® was developed to solve this problem with ten different 20-minute workouts which are constantly evolving so you can achieve fast, effective and lasting results. I created EVOLUTION 20® with complete confidence that the program would sculpt a lean physique, develop your athletic abilities, increase energy, and achieve health from the inside out. 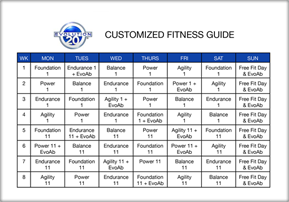 This has been my program to stay in top shape for fitness modeling. In fact, I’ve only gotten stronger and fitter over the years using these workouts and this diet. There is no limit to what’s possible for YOU as you begin your EVOLUTION. This program can be your catalyst to feeling great and looking as great as you feel. So let’s HIIT it! 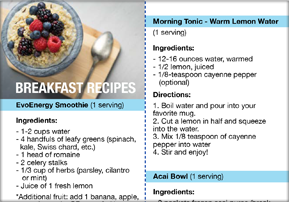 This will make you feel better and move better – whether you are a new mom who has been up all night and is using this in her AM routine, or a business women who has been at work all day and is using this to loosen up after sitting at a desk all day. This might be the most important point - (Christine's) exercises are interesting! She tweaks well-known exercises and adds something different or extra to make them new and refreshing. If you're wondering how much of a workout can you get in only 20 minutes, I think you'd be surprised just how intense these workouts are. No time is wasted. The warm up will get your heart rate up immediately and you’ll be huffing and puffing before you know it. The best part of this program is how good I feel both physically and mentally throughout the day. This program is a keeper! 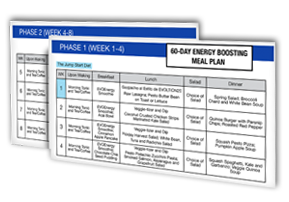 I’ve just finished the full 60-day program and I can say that I have tremendous (and measurable) results. This has really changed my body! I do love the different recipes (the raw zucchini lasagna—yum)! I was also blown away by the meal plan. It was definitely clean eating at its finest. I've gotten such amazing results with this program. These are my ultimate go-to workouts for time efficiency and intensity. I can’t wait until you create more DVDs!!! I love these workouts. They are quick, but they pack a punch. I am seeing results after using for one week and I feel a lot more flexible. Christine clearly knows her stuff and gives very good instructions throughout each workout. The time flies by and her encouraging and cheerful attitude makes the workouts fun! It is amazing, sweaty and efficient! I love it! Christine Bullock is an incredibly motivating trainer and seems to have a great understanding that everybody has different fitness levels. Have a healthy, happy 2017!